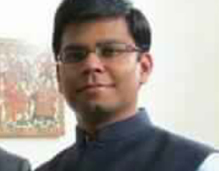 Mr. Rajorshi Roy is a Researcher at the Institute for Defence Studies and Analyses. His areas of research and analysis cover the foreign, security and domestic policies of Russia and the Central Asian countries. He is also pursuing his doctoral research from the Centre for Russian and Central Asian Studies in Jawaharlal Nehru University. His doctoral thesis explores the role of Russia’s Small Arms and Light Weapons (SALWs) industry in shaping the domestic and the external discourse of the country. He has completed his MPhil and Masters in International Politics from the Jawaharlal Nehru University. Prior to joining IDSA, Rajorshi worked with the Central Information Commission (CIC) and the United Nations Aids Programme (UNAIDS). He is an alumni of St. Stephen’s College, University of Delhi (DU). Russia’s military intervention in the Syrian civil war in 2015 is seen as a significant milestone in the geopolitics of the Middle East. By establishing stakes on the ground, the Kremlin, which had been virtually absent from the region since the breakup of the Soviet Union, has reinserted itself as a key actor in shaping the region’s strategic landscape. In doing so, it has also pulled itself back into the global geo-strategic consciousness. Research Analyst, IDSA, Mr Rajorshi Roy’s article on the US policies towards NATO, titled ‘NATO rumblings: Will Trans-Atlantic Alliance survive?’ was published in The Pioneer on October 07, 2018. On the global strategic horizon, the US continues to be Europe's best bet, given their inherent overlapping values and interests, and the comfort derived from being historical partners. Lack of effective alternatives — structured differences with China and the limited global heft of other countries — limits Europe's strategic choices, writes Mr Roy. Research Analyst, IDSA, Mr Rajorshi Roy’s article on Russian President Vladimir Putin’s visit to India, titled ‘Strengthening Ties with an Old Friend’ was published by the Air World Service, an External Services Division of All India Radio on October 06, 2018. The article describes Vladimir Putin’s visit to India as a milestone in the trajectory of India-Russia bilateral ties, which is set against the backdrop of significant global geo-political churnings, marked by a backlash against globalisation and worsening Russia-US standoff. Research Assistant, IDSA, Mr Rajorshi Roy’s article on the fifth Caspian Summit, titled ‘Decoding the Aktau Caspian Summit’ was published in The Pioneer on September 17, 2018. Analysing the Caspian Summit, the article argues that given the inherent nature of the region’s shifting alliances, the new found regional cooperation sentiment might itself be at risk in the future. Russia’s new naval doctrine seeks to defend Russia’s core security interests in the neighbourhood and project power judiciously beyond its periphery. At a time of heightened nationalism over the Ukrainian confrontation, these events cast doubts about the narrative of a stable political system. Russia’s military intervention in Syria – its first beyond its immediate neighbourhood since the end of the Cold War – highlights the significant transformation that its armed forces have gone through. While a Russia-Turkey rapprochement is driven by their particular national interests, its trajectory and outcome are likely to be shaped by the interplay of several geo-economic and geo-political factors. Are Russia and NATO inching towards a conflict? The Joint Communique issued by the recent NATO summit, held on July 8-9 in Warsaw, appears to have sown the seeds of a renewed confrontation with Russia. Research Assistant, IDSA, Mr Rajorshi Roy’s commentary on Russia-Japan relations, titled ‘Searching for a common ground in Russia-Japan relations’ was published in Russia Direct on July 23, 2016.